We would love to introduce you to the NEW Bioré Skincare Blue Agave + Baking Soda Collection. The new Pore Cleanser, Instant Warming Clay Mask and Nourishing Whipped Detox Mask help deep clean and nourish combination skin by leveraging blue agave + baking soda in these new formulas. While Baking Soda deep cleans, Blue Agave provides conditioning benefits—making these ingredients a dynamic duo—for combination skin sufferers who need an exfoliating, deep clean while still being able to condition those dry patches. 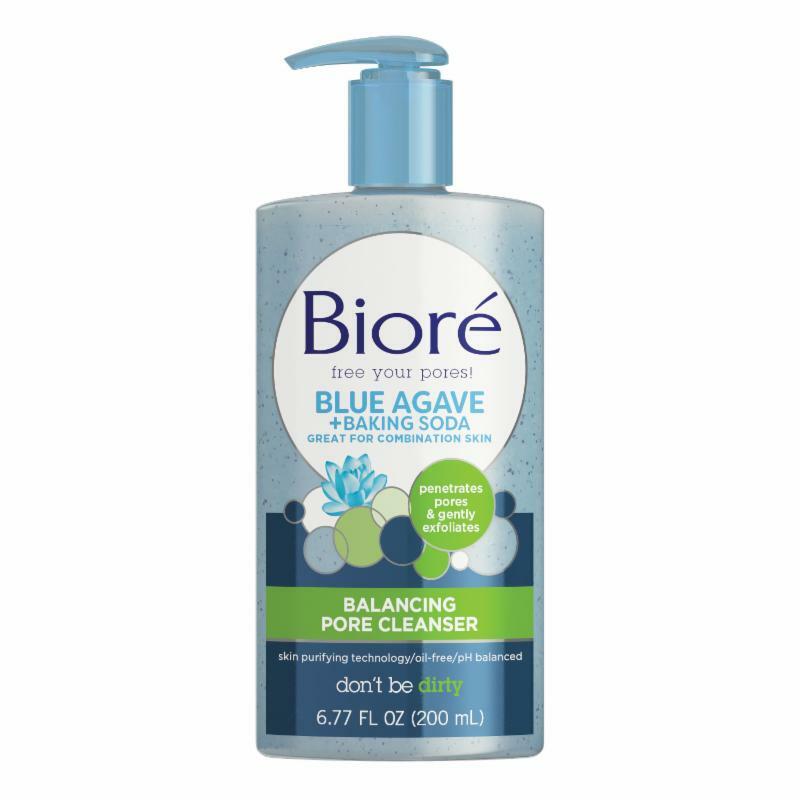 Bioré Blue Agave + Baking Soda Balancing Pore Cleanser: Developed especially for those with combination skin, this everyday cleanser deep cleans the oily parts while smoothing and conditioning the rough, dry parts— for balanced, conditioned skin. Not only does it remove deep down dirt and impurities from the pores, but it gently exfoliating away dead cells, allowing healthy cells to emerge. With continued daily use, you’ll achieve softer, smoother skin and a more balanced complexion. How to use: Wet face, pump cleanser into hands and work into a lather. After massaging over entire face, rinse thoroughly. $5.99. 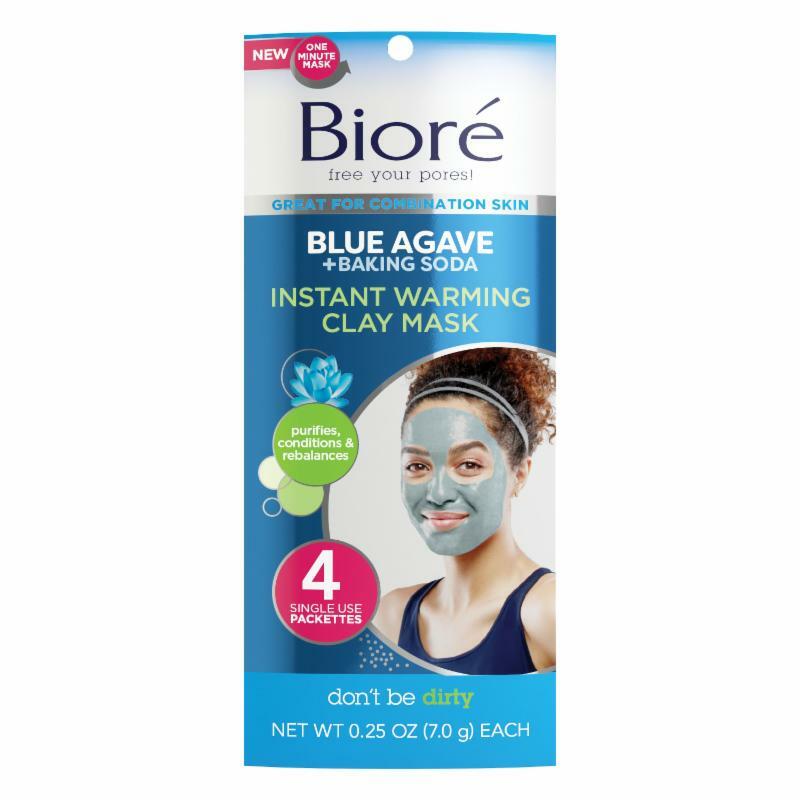 Bioré Blue Agave + Baking Soda Instant Warming Clay Mask: Sometimes your skin needs a little extra TLC—plus, what better way to take a selfie—if not with a blue mask on! Designed to purify and refine skin by absorbing excess oils, this instant warming mask opens pores and melts away that pore-clogging dirt, oil, and sebum—leaving your skin clean, soft and refreshed. This warming clay mask, formulated to deep clean pores, is pH balanced for comfortably clean skin. This mask has a unique self-heating technology that is activated when massaged into the skin. This thermal formula in conjunction with purifying and skin toning clays optimize the mask’s ability to deep clean and purify. How to use: Wet face, as the mask is activated by water. Dry hands and apply mask. Massage mask for about 1 minute to help heat it up. Then thoroughly rinse with warm water to remove the mask. The mask does not dry or harden. $5.99. 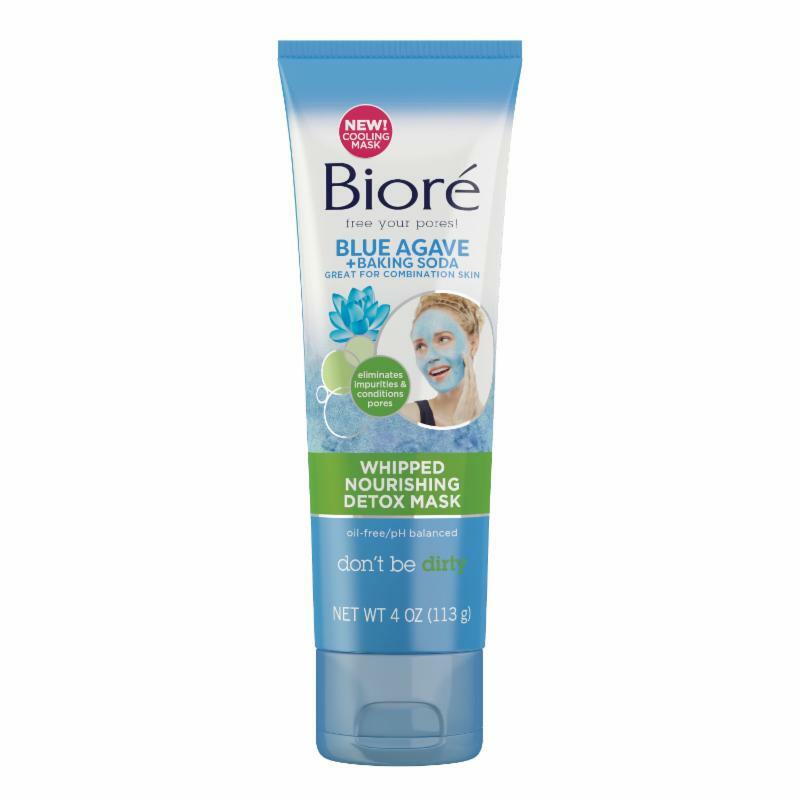 Bioré Blue Agave + Baking Soda Whipped Nourishing Detox Mask: Clogged pores seriously need to chill! The menthol in this detox mask creates an intense pore-tingly sensation—that’s the feeling of a good deep clean. Formulated for combination skin, this mask contains natural Blue Agave, known for its ability to soothe and condition, and deep cleaning Baking Soda to help eliminate impurities, leaving skin clean, refreshed, and ever-so-nourished. How to use: Wet face and apply mask evenly, avoiding eyes. Chill out for 3-5 minutes for seriously purified pores, then thoroughly rinse with warm. $6.49.